The Namibian-German Special Initiative Programme (NGSIP) is a multi-sectoral rural development initiative, implemented by the National Planning Commission of the Government of the Republic of Namibia and the German Development Bank, KfW. The NGSIP is funded by the German Government. The project serves to improve the living conditions and reduce poverty in the targeted areas through the implementation of various measures, including through the provision of infrastructure and capacity building services. The initiative has been implemented via 6 lots, each of which compromise a different intervention initiative. 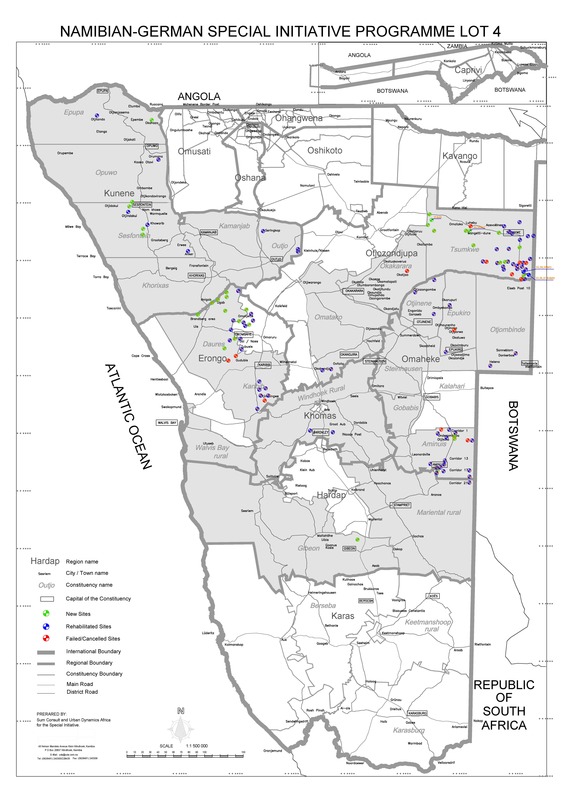 Water supply infrastructure was provided to rural communities in the Omaheke, Otjozondjupa, Kunene and Erongo Regions of Namibia under Lot 4, with which LCE was involved. Following the submission of an EoI and a Technical and Financial Proposal, LCE was appointed as Engineers to Lot 4: Water Supply Projects by the National Planning Commission. Under this initiative, N$ 71 million of water supply infrastructure was constructed at 129 project sites in the 4 regions mentioned. This included the construction of new infrastructure, including 40 new boreholes, small earth dams, 98 km of pipelines, several water points and the rehabilitation of existing water supply infrastructure at various of the project sites. 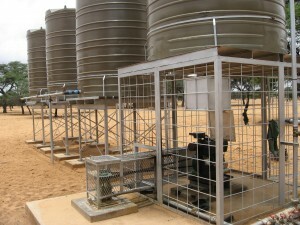 Following an assessment of the water supply infrastructure and consultations with the communities in the areas to be served, LCE carried out the detailed design for the upgrading and extensions required, the prepared the tender documentation and conducted the tender administration and adjudication, the project management, contract administration as well as construction supervision and quality control. Further details on this project can be obtained from the dedicated NGSIP project website and from the National Planning Commission.